The cemetery office has print outs of this map available in their lobby or you can download and print your own here. 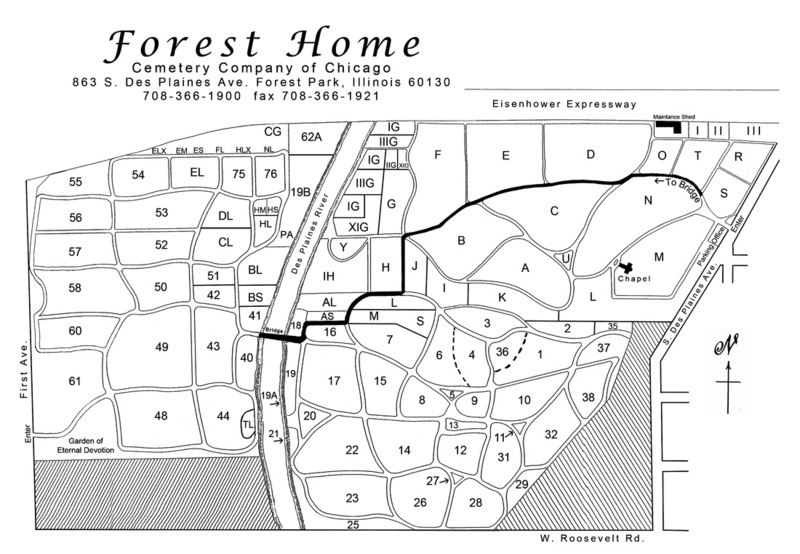 The cemetery consists of many sections that divide the area from the Eisenhower Expressway south to Roosevelt Road and from First Avenue east to DesPlanes Avenue. Each section is divided into a vast number of "lots" which are sold to individuals or organizations. The sale of each lot is recorded in a deed, and the deed records remain the possession of the cemetery management. Lots can be subdivided and sold to another "party." To learn more about the original deeds and book keeping click here. Driving West on the Eisenhower Exp: Exit at Harlem, turn left on Harlem and right at Harrison St, Turn left at S. Des Plaines Ave, follow to cemetery entrance. 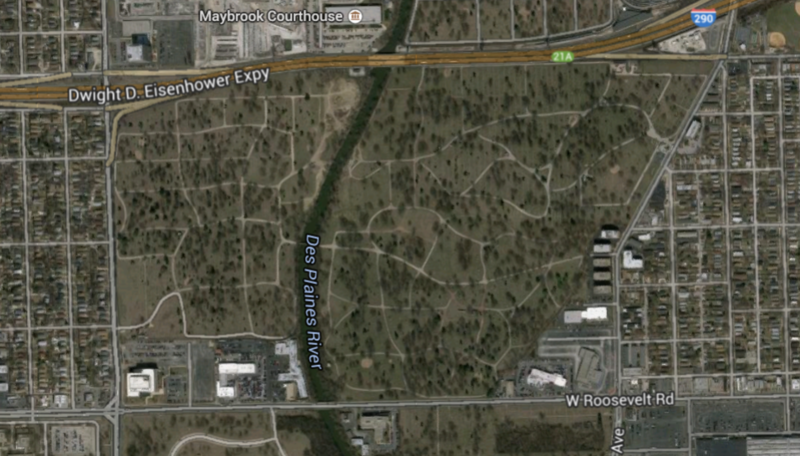 Driving East on the Eisenhower Exp: Exit South or right onto Des Plaines Ave, follow to cemetery entrance. By Train: Take the CTA Blue Line West to the end of the line, Forest Park. Exit the CTA station and walk South or right on Des Plaines Ave. Continue over the bridge (Eisenhower Exp) and walk to the cemetery entrance.